Mug’s Ale House’s 20th Anniversary! 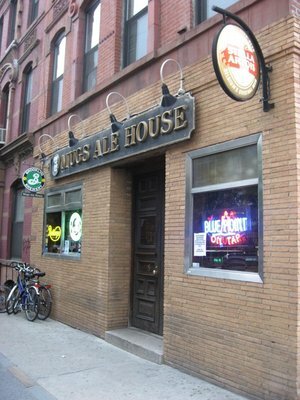 October 6th, Mug’s Ale House will celebrate it’s 20th Anniversary. That’s 20 years of serving and loving craft beer before it was cool. You’ll have to check out their Anniversary line up of great Anniversary ales and rare brews by clicking here, including the special debut of Brooklyn Brewery brewed Anniversary ale called Blood Brothers Red IPA. You can also tune in to hear Mug’s Ale House owner Ed Berestecki on Tuesday’s (October 2nd) episode of Beer Sessions Radio (TM).